We offer Gilman Gear quality in Stepover Dummies with safety and use features built in. Some of our football stepover dummies even have double uses! 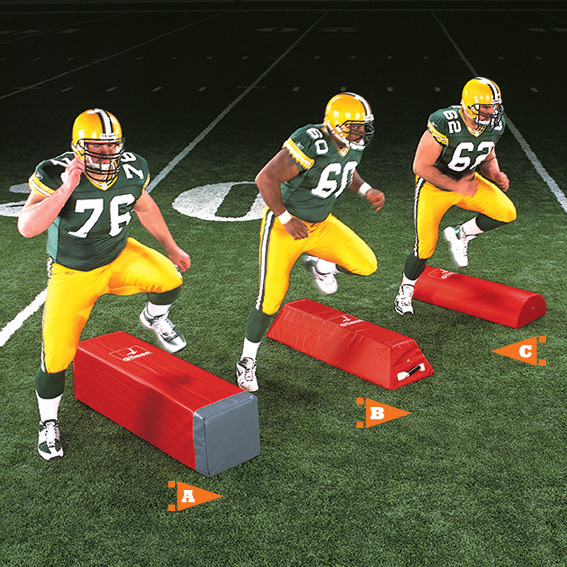 The Fullback Step Over Dummy, our square model can also be used as a stand-up dummy. Our Halfback doubles as a hand shield. The "I" Back trapezoid step-over reduces the risk of tripping, stays in place, won't spin out, and eliminates the hassle of halting a drill to reposition the bags.